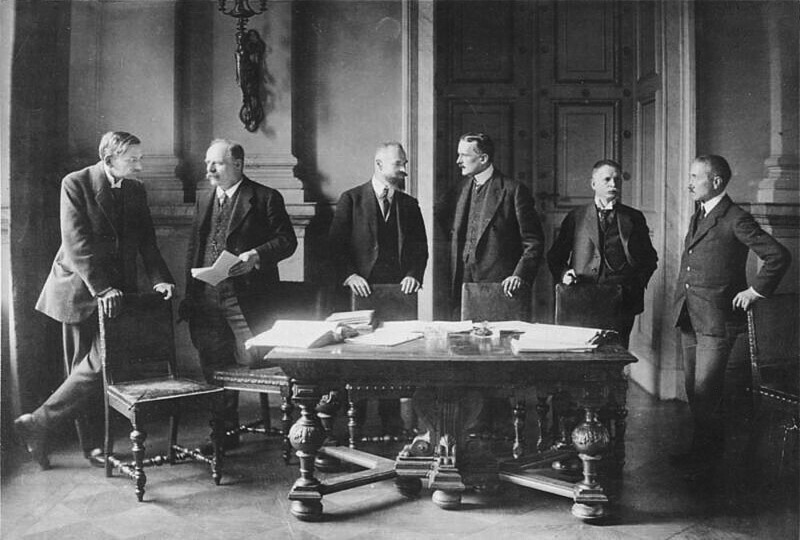 German delegates during the negotiations of the Treaty of Versailles, the peace treaty which ended WWI, but brought with it many new issues. 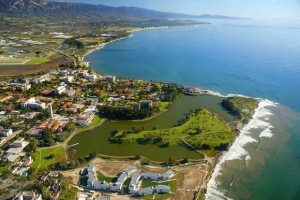 Why Should You Study History at UCSB? Historical studies will challenge you to see the world from other points of view. You will learn to reconcile conflicting interpretations, and to present your own assessments persuasively and effectively. In short, studying history teaches you how to analyze, to predict, and to persuade– valuable skills no matter what your personal goals. Plus, if you like great stories, compelling personalities, and far-off destinations, you’ll find plenty to keep your interest in History! The History Department at UCSB also has some unique strengths that you won’t find elsewhere. For one, the department is renowned for the quality of its teaching. In fact, eight of our forty faculty members have won UCSB Distinguished Teaching Awards. Our faculty regularly teach both large introductory courses and small majors-only seminars. Our graduate student Teaching Assistants, too, regularly win awards for the high quality of their teaching. The history major prepares students for a wide variety of skills that are useful not only for the further study of history and other humanities disciplines, but for numerous other careers. Take a look at this list of careers for History Majors by the American Historical Association. Other professional career paths, such as physicians, police officers and investigators, military officers, social workers, and development officers. A better question might be: what can a degree in History bring to my technical degree? Consider how much more valuable technical competency is, when combined with judgment informed by historical knowledge, discernment, and leadership skills. Studying history will help you to develop those skills – skills that will set you apart in the workplace. It’s one thing to know how to build a widget, but it’s another thing to be able to assess whether a widget is worth developing, whether it will benefit the common good, and how to motivate others to collaborate on its development. Studying history is also excellent preparation for a wide range of post-graduate careers, including careers in law, business, government, media, non-profit leadership, the military, and international development. 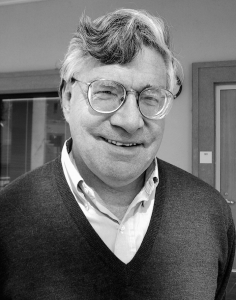 Nelson Lichtenstein. Sol Stetin Award recipient, 2012. MacArthur Foundation Chair in History and Director of the Center for the Study of Work, Labor and Democracy at the University of California, Santa Barbara. Our faculty are constantly publishing new and ground-breaking research. Many of the professors you’ll work with as a History major have won national awards and prizes for their scholarship. Our faculty even appear regularly in national media such as the New York Times, CNN, and Time Magazine. Overall, the UCSB History Department is one of the best in the United States– ranked among the top ten according to a 2011 National Research Council report. The course requirements for majoring in History are flexible, so you can choose the classes that best fit your interests and goals. Our department offers a wide range of fascinating, challenging courses on every era of human history around the globe, from ancient China and Rome all the way to modern Africa and the Space Age. In these courses, you’ll discover the many different approaches and methods historians use to investigate the past, and learn how gender, class, race and ethnicity, economics, and many other factors have influenced the development of human societies. If you want a major that will give you real insight into our changing world, and will give you the skills you need to succeed in the workplace and in the public sphere, then History is the place for you. We invite you to join our UCSB History community. Our beautiful campus location allows for a vibrant academic and community life with a postcard backdrop. Bicycle travel dominates as the ideal form of campus transportation and our proximity to the student-driven community of Isla Vista keeps campus and community life intimately intertwined. Just minutes away, downtown Santa Barbara isn’t just a beautiful resort town. It enjoys a rich cultural life, thanks to its numerous theaters, art galleries, and cultural organizations. Various first-rate cultural events take place throughout the year, such as the Santa Barbara International Film Festival, performing arts and classical music seasons and festivals, jazz and rock concerts, as well as events related to its rich culinary and ethnological traditions. Contact our Undergraduate Advisor, or make an appointment to see any of our faculty.